On the night, we were delighted to be awarded not just one but two prestigious awards, the first being Scotch Whisky Producer of the Year on behalf of William Grant & Sons. 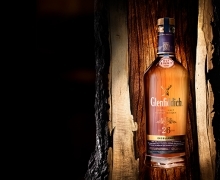 If you thought we already made the best whisky aged 21 years old, you’d be quite right too, as our 21 Year Old expression also won the award for the best Scotch Malt Whisky 21 years or over. The competition is founded on a rigorous and independent judging process, ensuring that the highest calibre of spirits enter the competition each year. With over 1,000 entries from nearly 70 countries it’s a truly global competition, and we’re thoroughly delighted that our deserving 21 Year Old whisky won the Best In Class Gold Award.